Many employers are being challenged to restrain rising healthcare costs. The realization that the lack of physical activity, increased incidences of obesity, poor dietary habits, smoking, alcohol consumption and lack of preventive care are responsible for 75 percent of these costs is apparent now more than ever. However, what is not so clear is the relationship between employee happiness and success. Recent research confirms that a culture of happiness greatly contributes to a company's prosperity. The National Institute of Mental Health as well as the World Health Organization reported that depression, the leading cause of disability, costs $58 billion in direct costs and $193 billion in indirect costs per year. It was also reported that depression leads to more absenteeism than other physical disease. In the book Population Management, Creating a Culture of Wellness authors reported that employees with a chronic disease miss an average of ten days per year and the estimated cost is more than $153 billion annually. A 2009 study from Work Options suggests 72% of employees tend to find their jobs stressful and more than 50% have trouble with managing daily stress. Stress alone costs $300 billion dollars annually, including lost productivity, workers' compensation, and leave of absence. Embedded beneath all the above statistics are human beings who can learn to change their habits and hopefully want to maintain or improve their health. Employers who recognize the relationship between building a culture of happiness through wellness programs can reap success in nearly all aspects of their business. Happiness is most often defined as someone experiencing satisfaction, contentment, enthusiasm or interest. A Harvard School of Public Health Study found that people who are happy are less likely to develop hypertension and other chronic disorders. Productivity is also closely related to happiness in the workplace. According to a Right Management poll, productivity suffers in workplaces characterized by criticism, lack of teamwork and unhealthy gossip. In fact, nearly 60% of organizations are suffering from negativity. These disengaged employees erode an organization's bottom line and can produce losses of more than $300 billion in lost productivity. Companies like Zappos and Google are connecting the dots and have embraced creating a culture that fosters happiness. 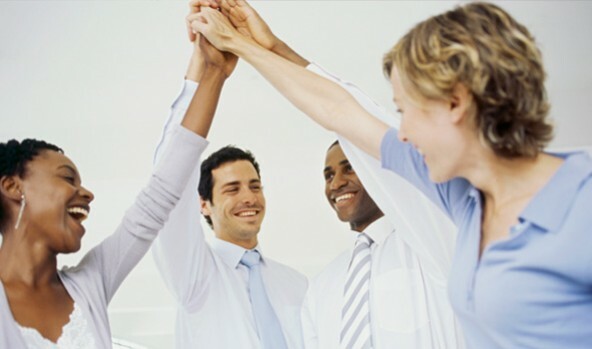 They are seeing that employees who are happy are more likely to help out their coworkers and customers, perform better on more objectives and tasks, cope better with organizational challenges, make decisions more efficiently, experience less conflict working in teams, and most importantly report greater job satisfaction. Research also suggests that 40 percent of our happiness is derived from intentional activities and can be impacted by our surroundings. Having control over work-life balance, personal career paths, and manager-employee relationships are significant aspects that we can manage. Cultures that promote control over these intangibles will have greater success. Wellness strategies that incorporate objectives to focus on workplace happiness will garner greater success. Increasing workplace happiness doesn't have to mean radical change nor expensive initiatives. Creating work environments that foster employee feedback, honest communications, and management support will generate greater company morale. Companies like SAS, Recreational Equipment (REI), Google, and Zappos have embraced the following strategies to help create cultures of happiness. Gather insight on the current level of employee happiness. If you ask, they will tell. People generally like to offer their opinions and giving the opportunity, a business can learn a lot about the pulse of their company. Seeking insight on the levels of satisfaction will generate a culture that empowers employees and produce a greater sense of engagement. Seek management support and integrate happiness into worksite policies. Often times, a minor change in dress codes and scheduling will reap significant rewards. Employees who feel that their employers recognize that work-life balance is important report greater job satisfaction. Build in team competitions and social networking opportunities. All work and no play leads to burn-out and high turnover. Utilize a wellness team to create events that promote increased levels of physical activity through organized events during or after work. Employees who create relationships with one another are more likely to build stronger rapport and work more effectively together. Augment supportive environments with Employee Assistance programs. Overcome the stigma that using an EAP is only for substance abuse and weak minded individuals. Employers who communicate their EAP programs through wellness platforms have greater utilization and are more effective at supporting employee needs. Utilize social media tools to create greater engagement. Social media is a great way to showcase that your company is innovative and on the cutting edge. Employees who see that their employer is willing to invest in strategies that are progressive are less likely to stimulate negativity. Offer environments that encourage creativity and innovation. Humans are creatures of habit and a company's success hinges on its ability to stay on the forefront. Challenging employees to be creative allows for greater purpose and eliminates stagnant behaviors. The evidence is overwhelming - creating a culture of happiness leads to greater success for companies. Employees that have purpose and feel a greater sense of engagement are greater assets to a company's future. Happiness leads to greater productivity, less absenteeism, lower health care expenses and greater retention. Understanding the connection between employee happiness and productivity will allow for greater operational performance.